When it comes to the best essential oils, tea tree (melaleuca alternifolia) is one of the most versatile aromatherapy essential oils on the market. 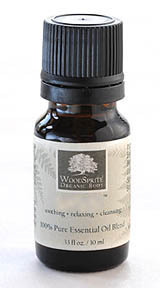 Its scent is spicy, woodsy even slightly medicinal, but it offers a great wealth of therapeutic uses. Skin Issues (Acne, Psoriasis, Eczema, Chicken Pox Sores). Tea tree oil can be used directly at full concentration on skin blemishes such as acne. It can also be added to liquid soap when washing the affected area to speed healing and reduce scarring. Cell Renewal. Tea tree oil has regenerative properties, so adding a few drops to your lotion or moisturizer can help to repair dull, dry skin and promote cell regeneration. Sunburn. Add tea tree oil to aloe-based gels or lotions for sunburn relief. Equal parts tea tree oil and vitamin E oil can help as well. Minor Cuts and Scrapes, Burns, Warts, Cold Sores, Insect Bites or Stings. Apply tea tree oil directly to the wound or bite to relieve minor pain, burning and itching. Promotes faster healing and reduces scarring. Reapply several times daily. Poison Plant Rashes (Poison Ivy, Oak, Sumac, etc.) and Skin Allergies. Soothes itchy skin. Apply oil directly to the affected area or mix with equal parts of a carrier (olive oil, grapeseed oil or alcohol-free massage oil) or a soothing lotion or cream. Nail Fungus, Athlete's Foot, Corns, Blisters. Massage tea tree oil into nail beds and affected areas. You may also soak in a foot bath of 15 drops of tea tree oil in warm water for about 15 minutes daily. Dandruff, Itchy Scalp, Lice Repellent. Add a few drops of tea tree oil to your regular shampoo or massage it directly into the scalp. Gum Disease, Toothaches. Although the taste is not great, a couple drops of tea tree oil in your toothpaste can relieve minor oral pain and infection. Other Applications: Relieves candida, flu, migraine, oily skin, ringworm, sinusitis,urethritis, whooping cough. Note: Skin sensitivity can vary in people. Use tea tree oil sparingly at first to make sure you are not allergic to it. Clearly, pure tea tree essential oil is one of the best essential oils around. When it comes to aromatherapy essential oils with skin healing properties, it's hard to beat organic tea tree essential oil.